During the 2019 Consumer Electronics Show, we saw the regular suspects announce their versions of USB-C Lightning cables. Apple finally opened up the specification to third-parties towards the tail-end of 2018 and manufacturers have been eager to bring them to market ever since. 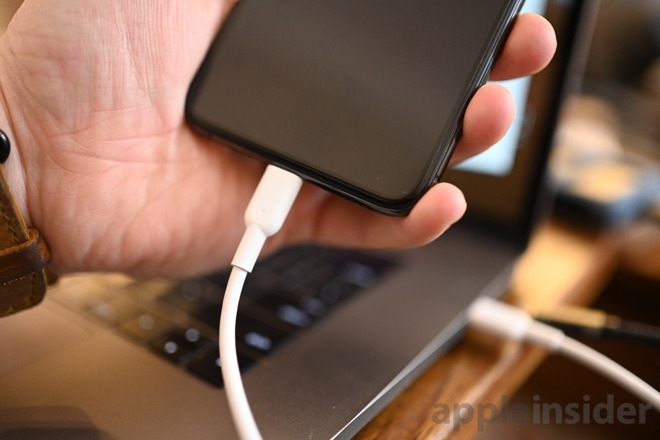 USB-C Lightning cables require a different Lightning connector than USB-A versions due to the higher amount of power that is transferred, which has delayed the manufacturing process. To date, all third-parties wanting to bring their cables to market have been waiting for Apple to start shipping them components. That has finally started to happen as cables start becoming available to order. The fact that Apple is just now making these components available really draws concern to the uncertified USB-C Lightning cables that have been floating around on the likes of eBay or Amazon. This is all the more reason to grab a certified cable, of which there will soon be many. One of the first -- if not the first -- to hit the market is Anker. They announced preorders of their USB-C Lightning cable recently and we finally got our hands on it. Anker has made a name for itself as being a great quality brand, with excellent customer service, and affordable prices. This cable represents just that. 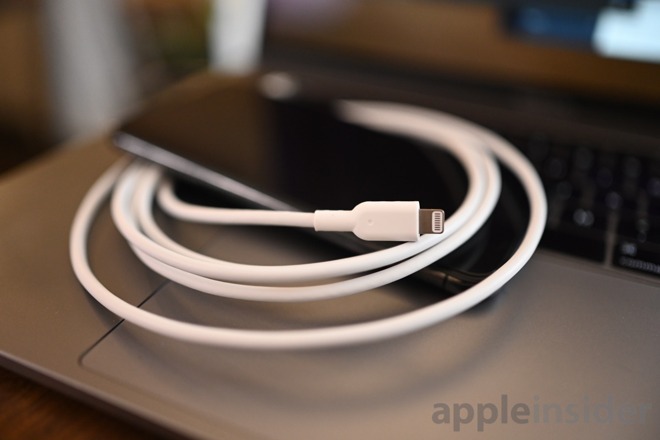 It is a no-frills cable with a USB type-C connector on one end and a Lightning connector on the other. It has larger over-molds than Apple's cable, providing additional durability and a better gripping surface for removal, resulting in a longer lifespan. The cable itself is slightly thicker than Apple's thanks to its reinforced interior. It has 12-AWG wiring with aluminum shielding and TPE insulation on the outside. In lab tests, Anker says this cable was able to withstand 12,000 bends before breaking. Best of all, Anker backs the cable with a lifetime warranty. 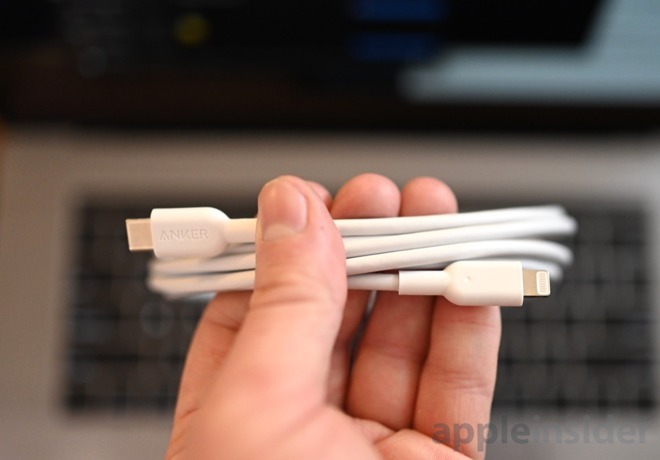 So why is everyone so excited about third-party USB-C Lightning cables? Well, a USB-C Lightning cable an charge your devices far faster than USB-A cables. Recent iPhones can support Fast Charge when using a USB-C cable and a wall adapter that has at least 18W. There will be many more USB-C Lightning cables to come but Anker's comes at an affordable price, excellent quality, topped off with that warranty. As long as you don't need specific frills such as metal over-molds, nylon wrapping, or other enhancements, this likely will be the first third-party cable available. You can preorder Anker's Powerline II USB-C Lightning cable now directly from Anker's website for $15.99. That gets you a 3-foot white cable that will begin shipping by the end of February for $3 less than Apple's. I always find the Apple cables easily wear quickly, especially near the Lightning edge. Then I was accused of bending the cables inappropriately. This article, is the first one accidentally reveal the truth telling us that original Apple cables are NOT DURABLE. Whistleblowing, good job. That's not what the article says, and I doubt the author would consider it whistleblowing. Just because they advertise this as more durable doesn't mean that it is in practice (although I have no reason to doubt that) not that Apple's are NOT DURABLE. IMO Anker cables are not good quality. They come nicely packaged, look and feel good - BUT - they don’t last. The connector assembly seems to be glued and comes apart after a few months of average use. Also the contacts seem to wear down leading to unreliable connections. I have 5-6 Anker cables suffering from one or both defects. I now buy cheap and replace often. I did find an Amazon Basics cable matching this for $6.99, so shop around. It has larger over-molds than Apple's cable, providing additional durability and a better gripping surface for removal, resulting in a longer lifespan. Hard to say “resulting” at this point, eh? I’ve bought plenty of cables with substantial over-molds where the lightning connector easily bent or broke off within the mold. Amazon Basics does not presently have a USB-C to Lightning cable. I'm sure they will eventually, but that day is not today. Well from my sample size of 1 I would say you need to treat apple cables more delicately than third party ones if you’re looking for a similar lifespan. Read my article mate, lifetime warranty. No need to keep buying new ones. My Apple cables are fine and have lasted me years. Literally years. Contrast that to Monoprice and Amazon Basics that I’ve had fall apart on me in months of normal use (the lightning plug falling apart). Sure sounds to me like YMMV based on use. I buy 6’ braided Anker cables. One of my Powerline+ kevlar cables only lasted two years before it started failing to charge, for reasons I’ll likely never know. People can spin it to suit whatever narrative they're going for. I myself have never "worn out" an Apple-branded phone cable and I have quite a few of them that I use every day. I could simply assume that you are very rough with your gear. I can also say that I treat my equipment carefully. Both are correct, but neither is an admission that Apple is somehow cutting corners. I question posts like yours that immediately assume that Apple is just trying to screw with users. If your cables wear out as quickly as you say, maybe you're the problem and not Apple. The story here is the lifetime warranty. The question is, will the warranty process go through Amazon, if purchased through Amazon. For example, can I take advantage of Prime 2 day shipping. If the answer is no, then the hassle of dealing with Anker would be more trouble than it’s worth. That can't be right. The cable would be the size of a garden hose. 12 AWG = 25 amps. 12 AWG isn’t that large but it’s overkill. 12ga usually refers to each conductor in a cable. If these cables are charging and data cables, how many conductors would that be? Two? More, I'd think. But it's possible the reference is to the cable's overall diameter and not the individual conductors, as would be typical. But it's obviously not 12ga just by looking at the pic. The diameter of a given AWG cable is not necessarily indicative of the cable's actual diameter. I've got 12ga cable that's .5" in dia. And getting it was a mistake, LOL. FYI: '12 AWG = 25 amps.' needs some qualification to make any sense. Well... sorry to burst your bubble but between my wife and I we've had approx 3 dozen cables (I'm an iOS dev so have cables for all my devices in all rooms and office)... we're both OCD (she's a bit worse... as in every time she takes off her shoes at home, cleans them and puts them in a bag before placing them in the organized shoe closet). Guess what... EVERY cable over approx 1 year had the cable separated from the stress point... those around a year show the stretched housing prior to the unraveling. This reminds me of those Apple fanatics that would claim "My Mac has never crashed, ever"... when it was simply self delusion to maintain the religion. the Anker Powerline II USB-C to Lightning cable -- is not just less expensive than Apple's, but also more durable. How are you determining that "more durable" statement? Are you basing it on the feature set that "should" result in more durability, or have you performed some set of tests that simulate usage over a long period of time? Of course, a "lifetime warranty" mitigates even the worst durability somewhat (depending on what "lifetime" means in context), but it's still more convenient to not replace a cable than it is to replace one. You're lucky. In our house the failure rate seems to be pretty similar to any other brand. It starts with the jacket of the cable getting loose and "bumpy" near the connector, then the jacket splits where it meets the strain relief, exposing bare conductors. [...] I question posts like yours that immediately assume that Apple is just trying to screw with users. That's not the conclusion we've drawn, but we have noted that Apple cables usually cost considerably more than third-party equivalents and wondered why we buy them if they don't offer any greater utility or longer life than cheaper alternatives. Usually it's because we have no choice (like USB-C to Lightning cables until just now) or convenience (Apple usually has stock and comparatively quick, easy access). It's a statement that is obvious enough it shouldn't need additional support. You can tell by looking at the cable the size of the overmolds dwarfs Apple's. Apple's cables tend to fray right below the connection pieces which is where Anker beefed these up. The Powerline II cables have also been around for a long time and are generally considered, while basic, to be very durable. More so than Apple's. [...] Apple's cables tend to fray right below the connection pieces which is where Anker beefed these up. In our house the most common cable failure is the outer jacket breaking where the cable meets a point of inflexibility. In the case of Apple cables, that means they split where the cable goes into the strain relief. Creating a bigger, more robust strain relief doesn't mitigate that, as it's not the strain relief itself that's failing, it's the cable. The remedy is to create a more robust jacket, but that usually results in a cable assembly that's as stiff as a coat hanger. Personally I prefer cables with greater flexibility, even if it means I have to replace them more often.